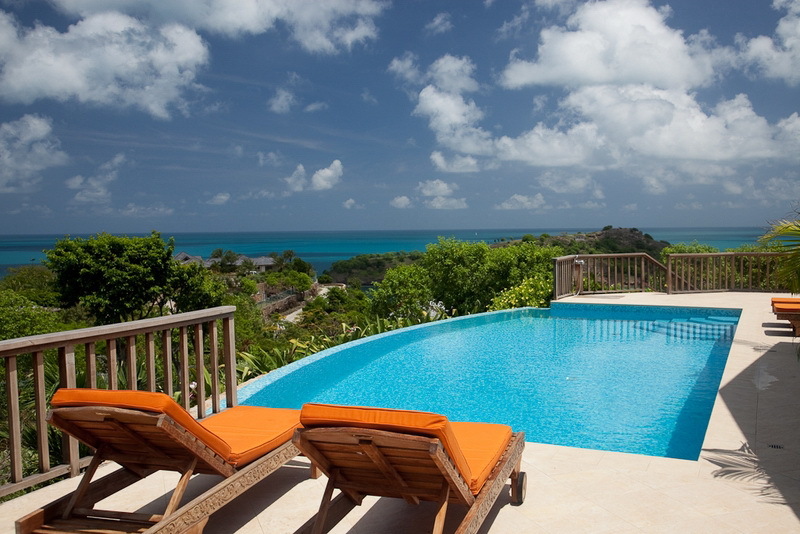 4 Bedrooms – Beautiful Antigua holiday rental villa located on the Galley Bay Hill, it offers the most panoramic views of the two bays and romantic sunsets views. 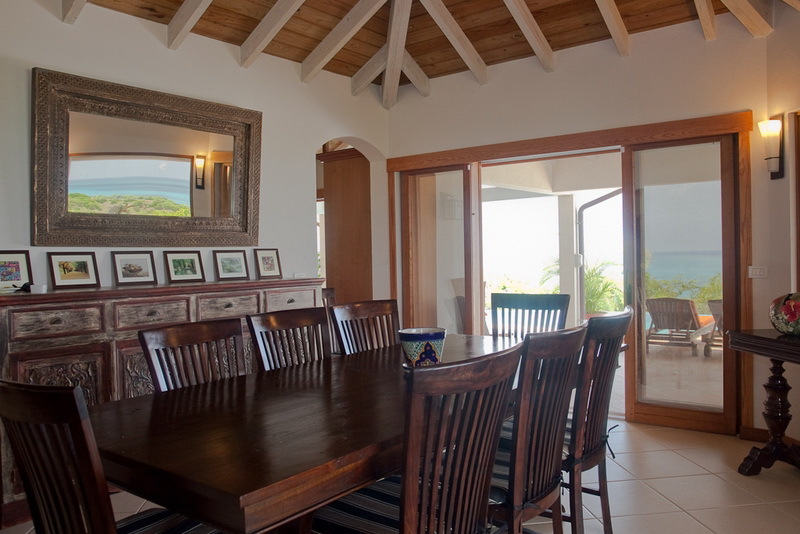 A splendid villa for rent in Antigua, located on a gentle hill offering amazing Caribbean Sea views. 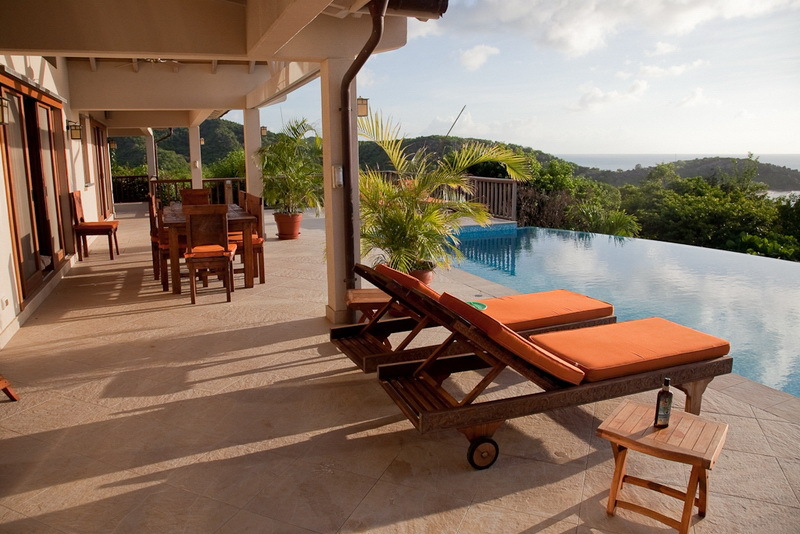 This luxury villa is strategically located on one of the highest points of the beautiful Galley Bay Heights offering breath-taking views of Galley Bay, Deep Bay and the Caribbean Sea. 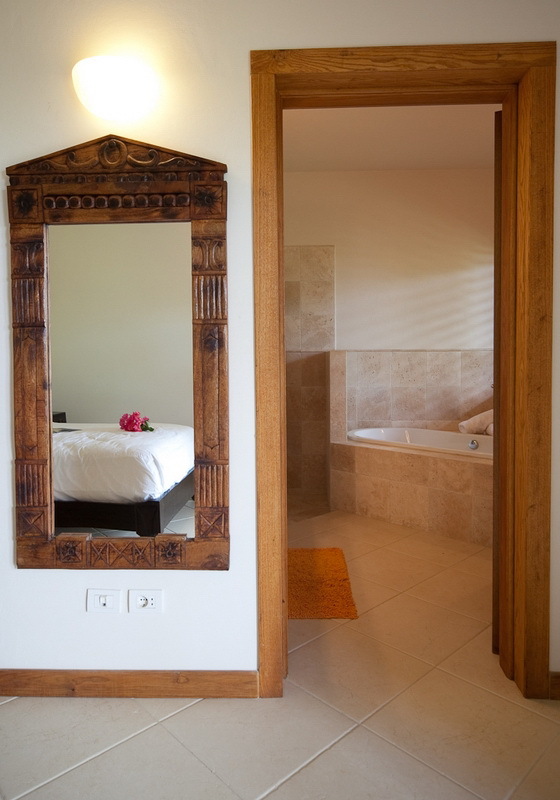 The villa exhibits some of the finest architectural designs, elegant furnishings and sits in a lush tropical garden filled with colourful flowers and exotic plants. 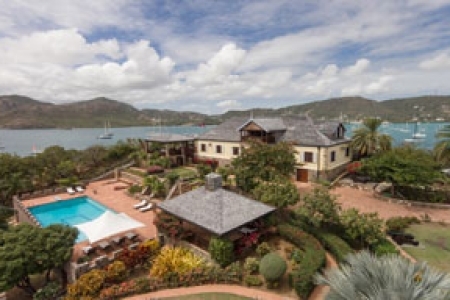 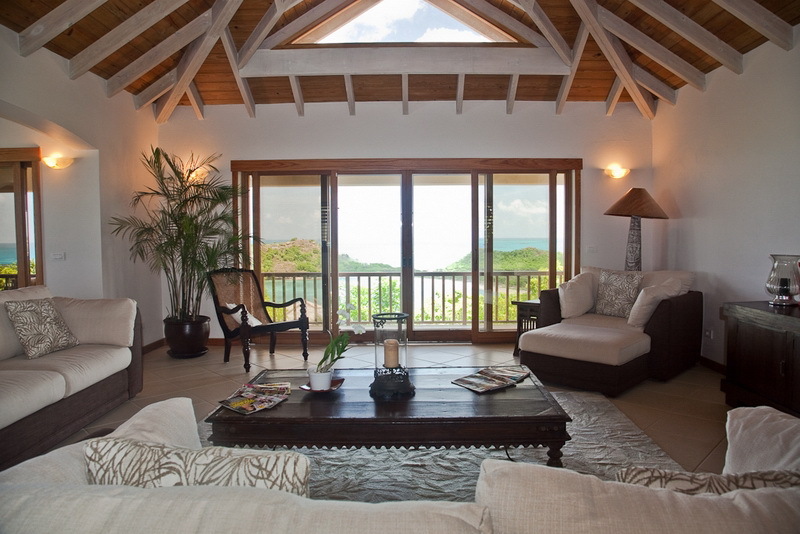 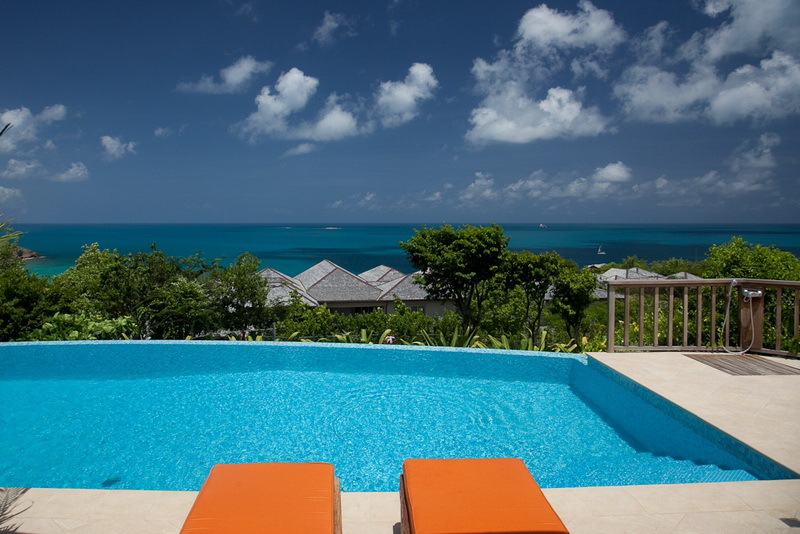 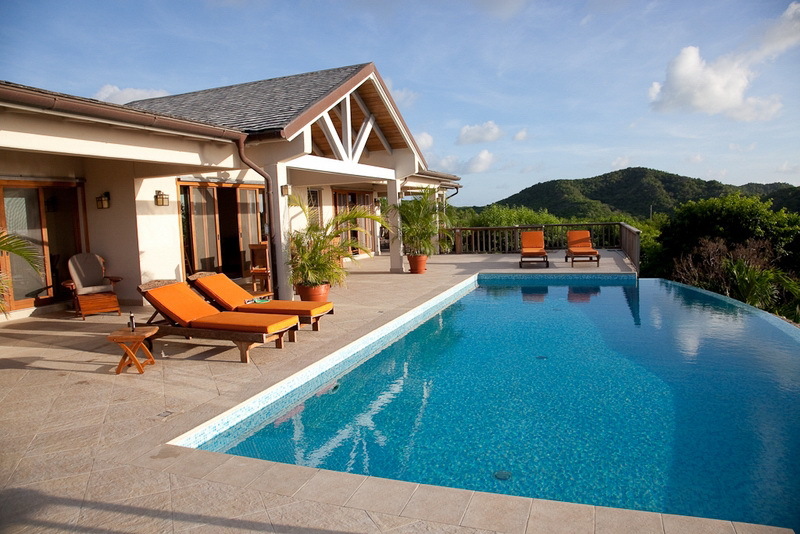 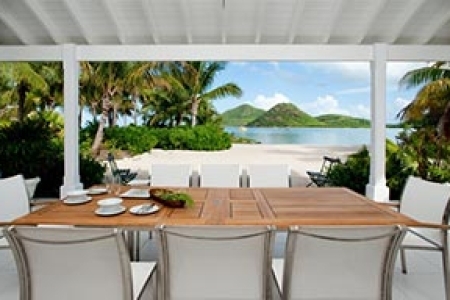 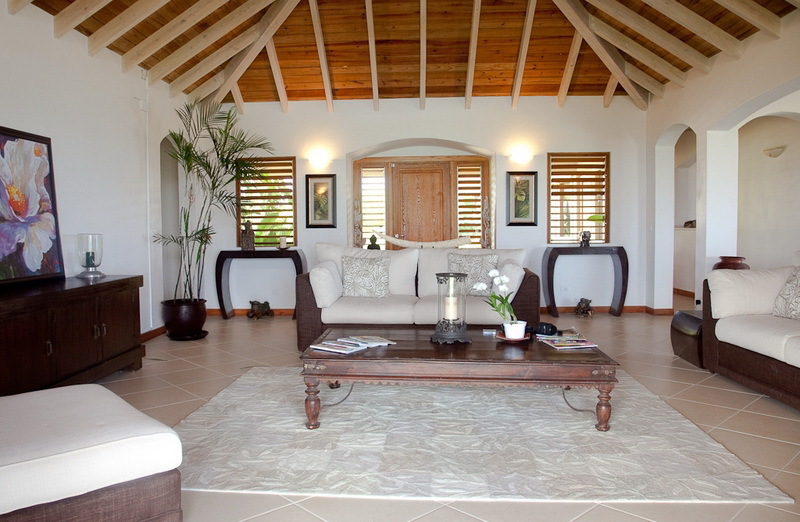 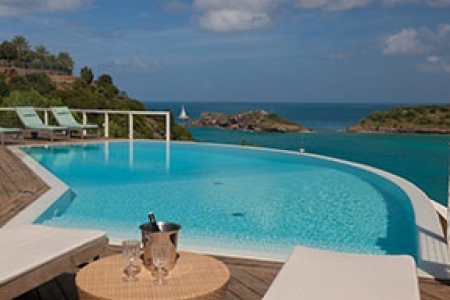 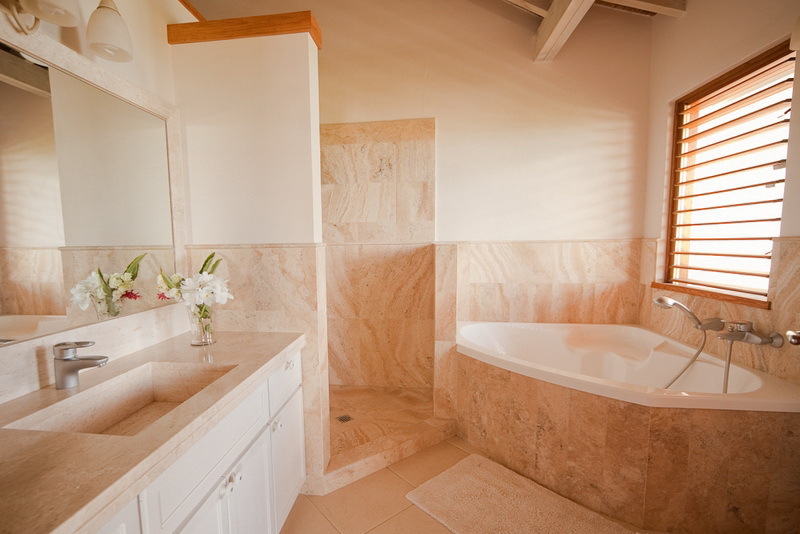 The villa is the perfect luxury retreat for the perfect vacation in Antigua. 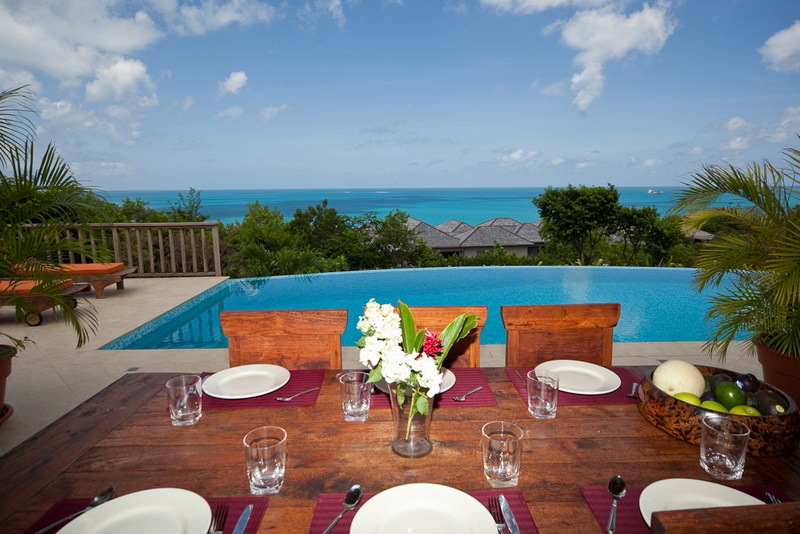 The villa includes four bedrooms, four bathrooms, guest bathroom, living room, internal and external dining areas, gourmet kitchen, TV room, outdoor lounge areas, veranda area, infinity edge pool, lounge chairs and external bar with professional BBQ. 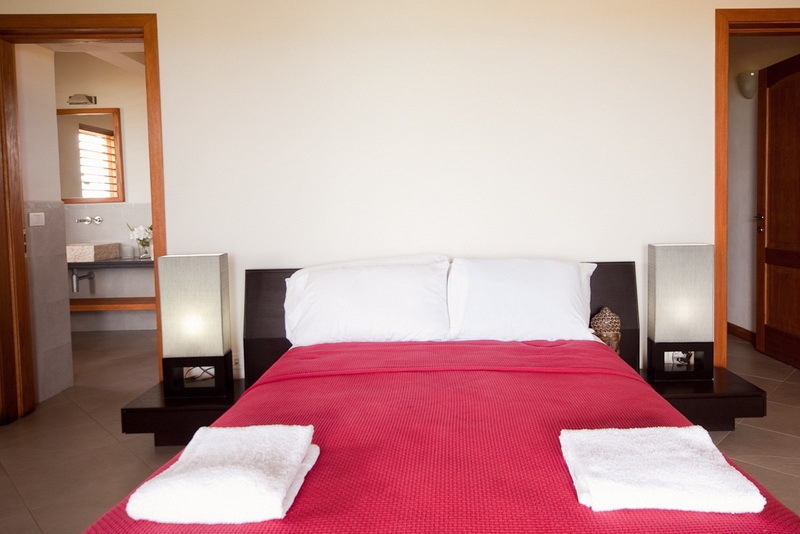 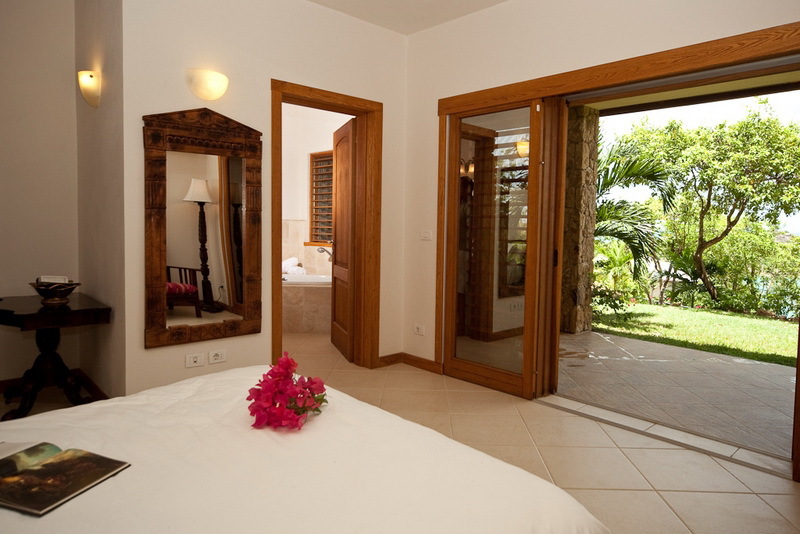 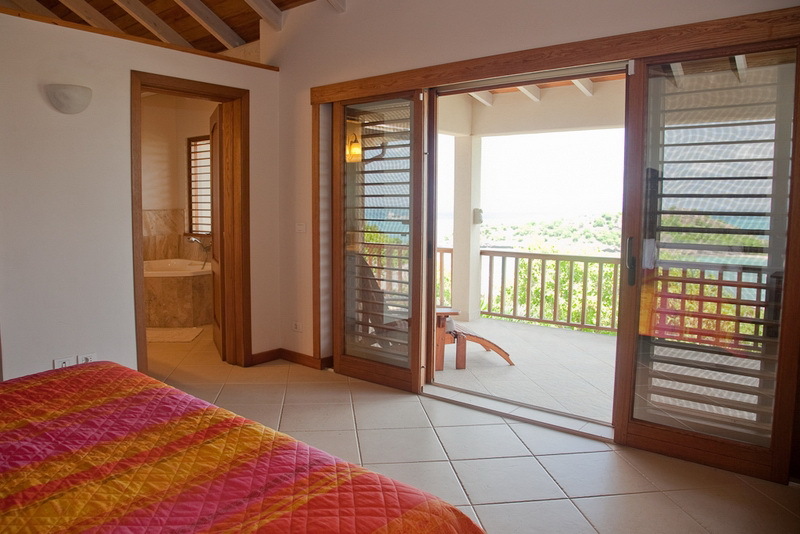 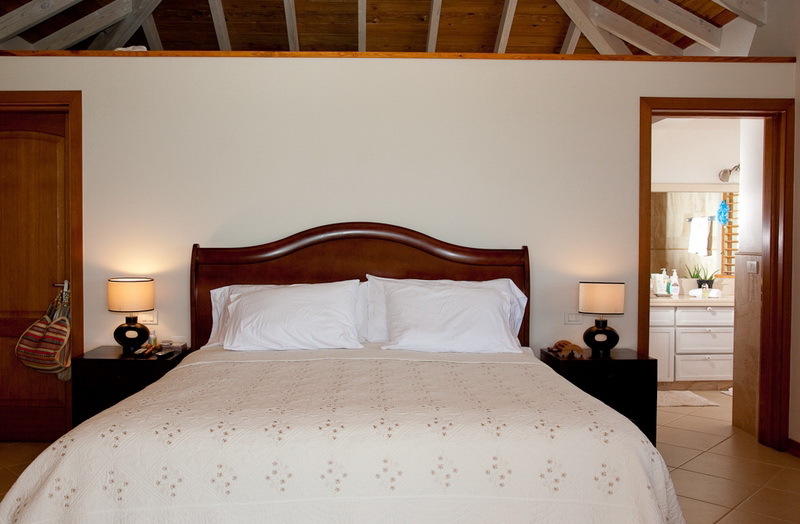 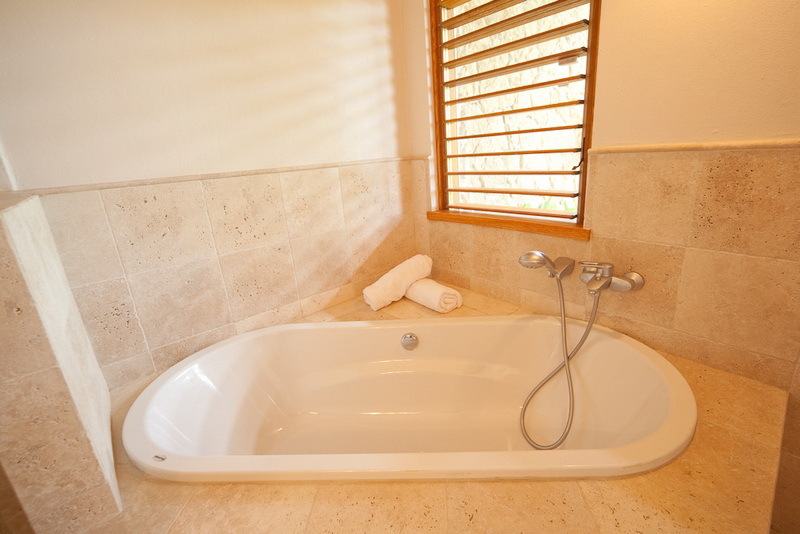 The villa has four en-suite bedrooms and accommodate up to eight guests. 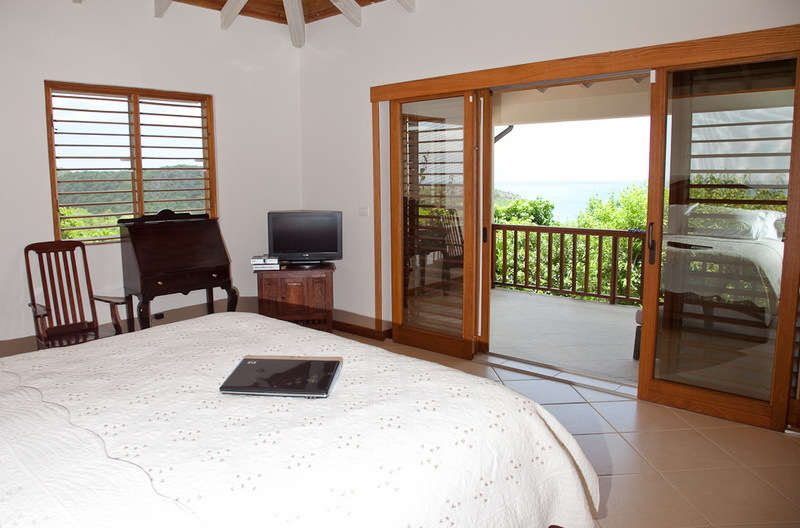 Three bedrooms sit on the main floor, while the fourth is placed on the lower lever. 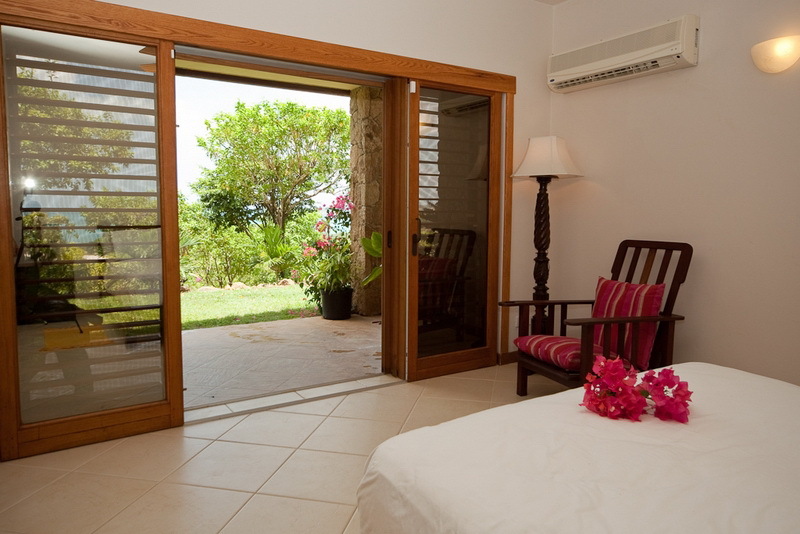 All the bedrooms have walk-in closets, ceiling fans, air conditioning, mosquito nets and are equipped with large French doors ensuring comfortable coolness day and night. 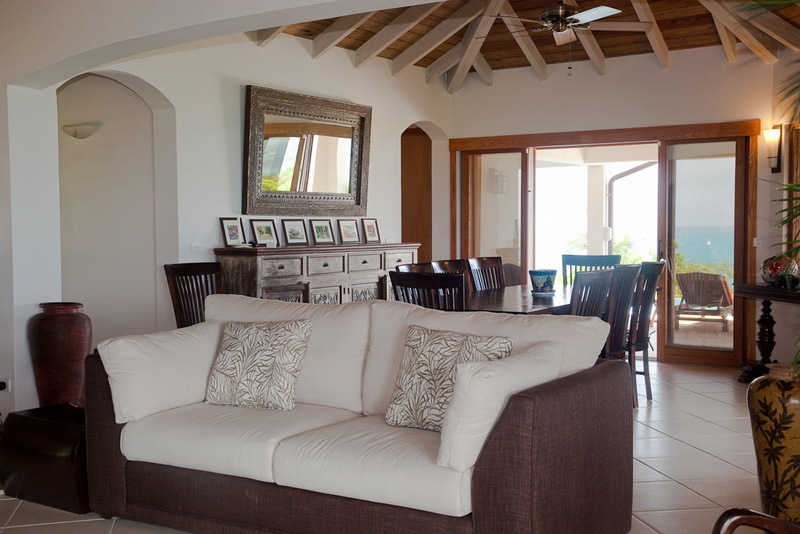 Living area is tastefully furnished with comfortable sofas set, coffee table, chest of draws and local paintings. 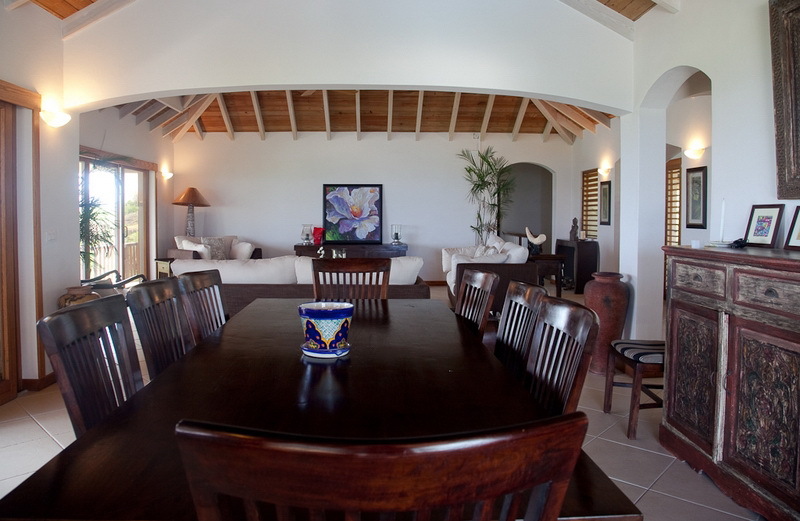 The formal dining area includes an elegant 8-seater table. 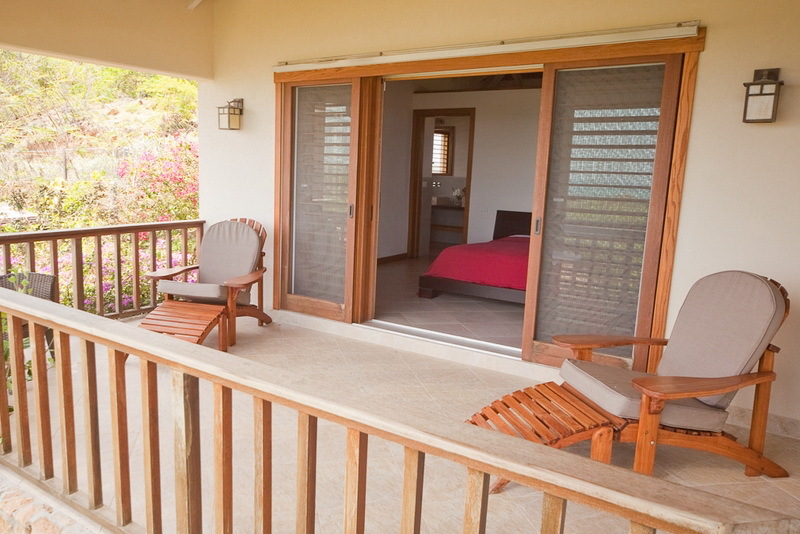 This room have direct access to the kithcen and to the veranda. 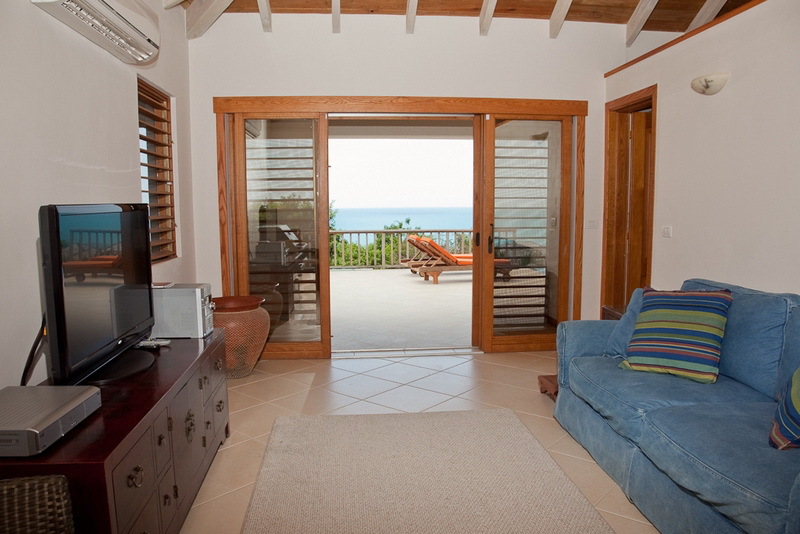 From here you will enjoy wonderful views of the sea. 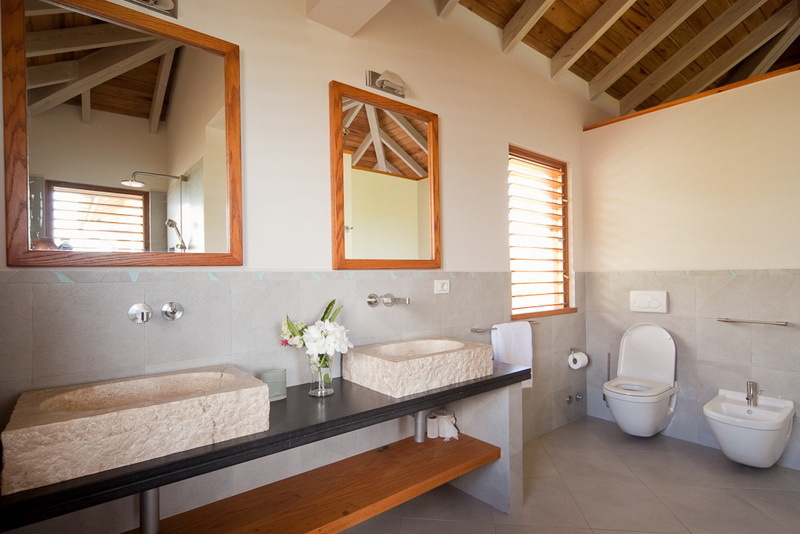 The villa has been ingeniously designed to maximise its indoor living spaces while paying special attention to its exteriors, reminding us that the true beauty of the Caribbean is to enjoy the outdoor life. 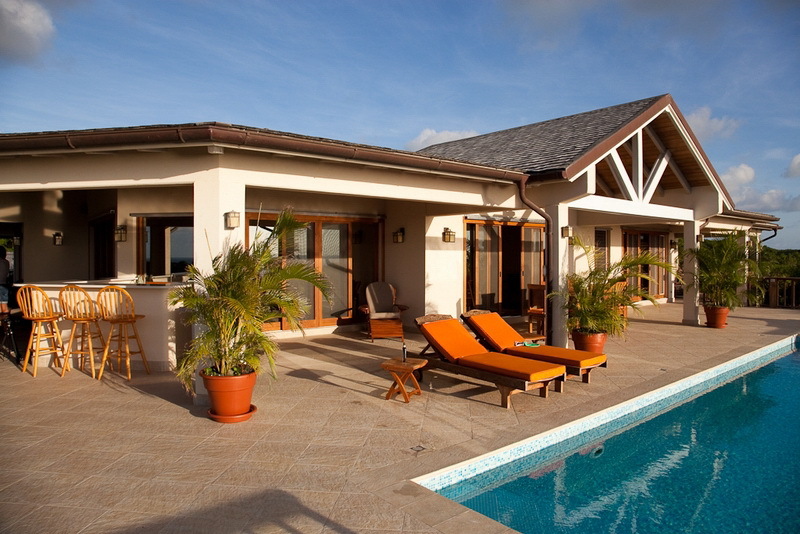 Beside its spacious and attractive patios, the villa displays a full outdoor living space complete with BBQ area, comfortable bar area with high stools, large dining area with 8-seater table and ample space to mingle and lounge on the comfortable lounge chairs strategically placed all around the infinity pool. 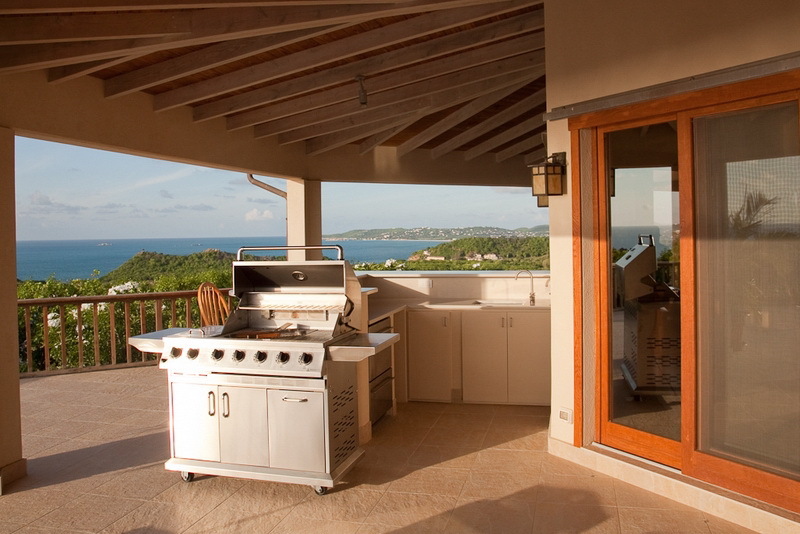 The modern kitchen is located just a few steps away from the formal dining area, readily accessible yet not in plain sight. 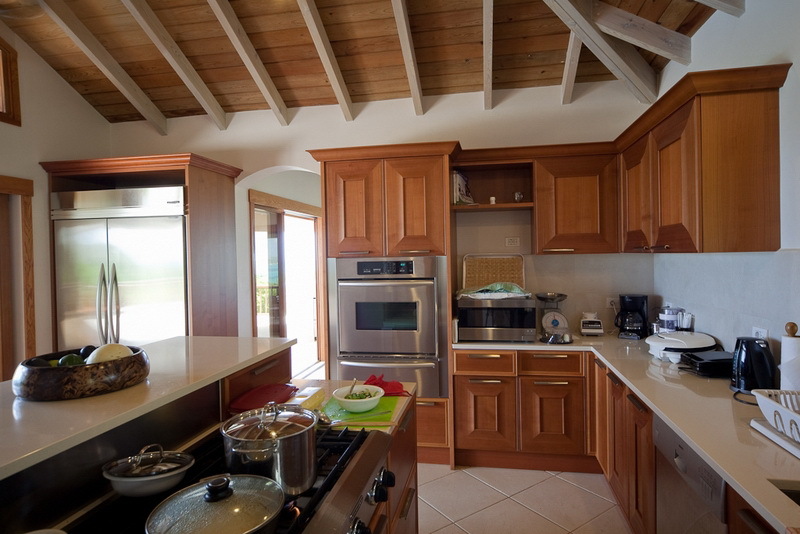 It is equipped with the latest state of the art appliances and its smooth white marble tops make it a practical and inviting cooking area while preserving a warm and charming appearance. 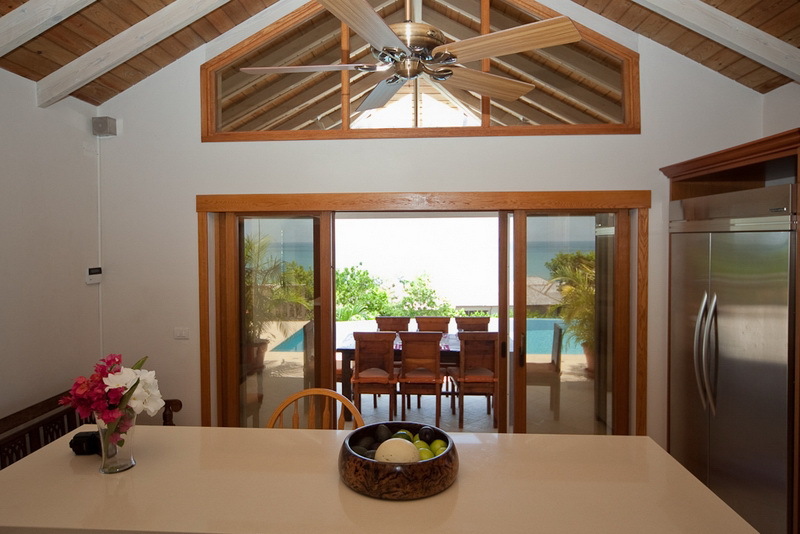 From the kitchen you will enjoy beautiful views of the swimming pool and the crystal blue waters of the Caribbean Sea. 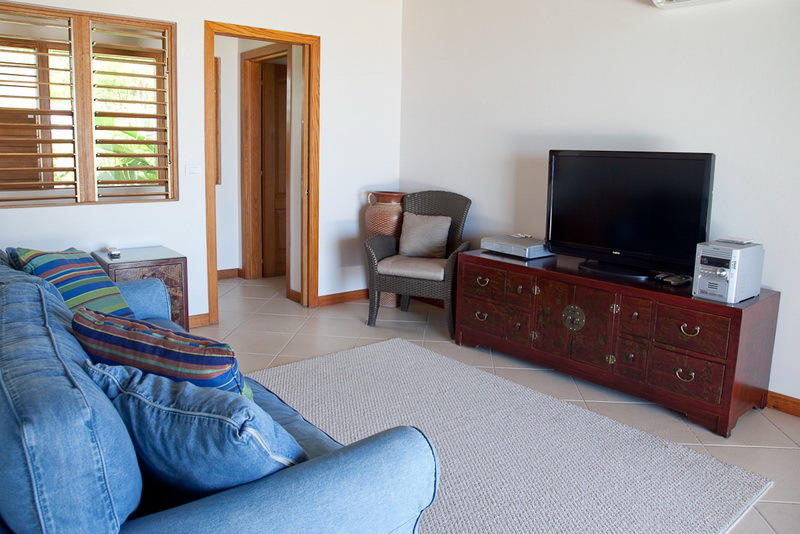 The TV room is just the place to be with its large plasma screen and comfortable sofa. 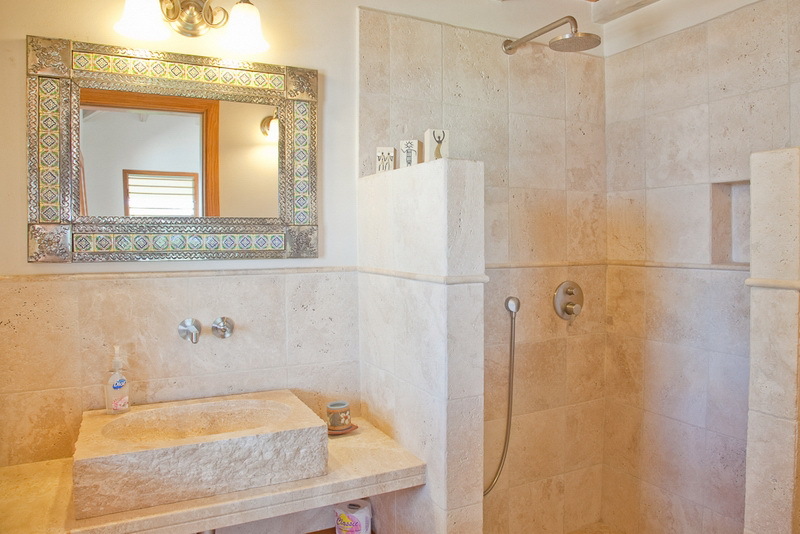 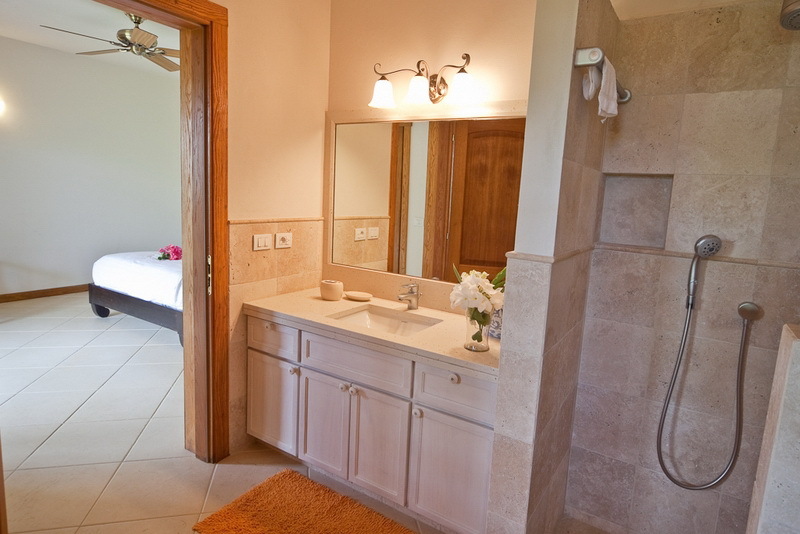 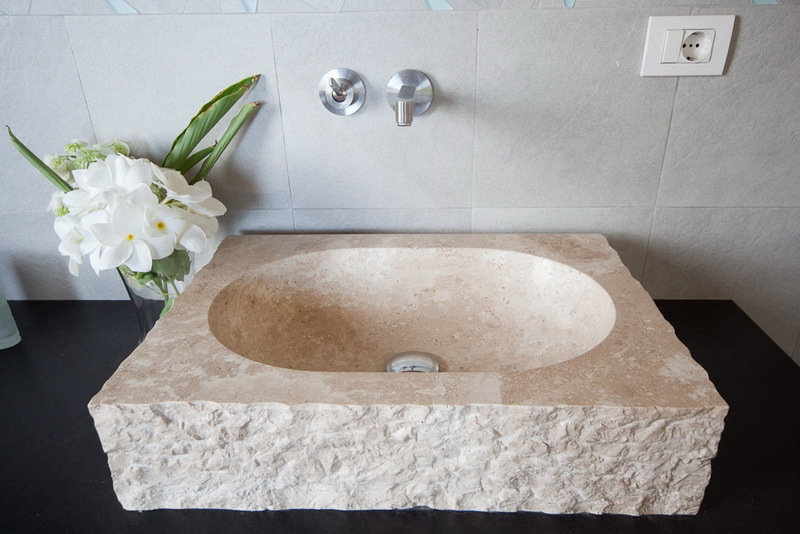 The room has its own private bathroom and A/C, only steps from the veranda. 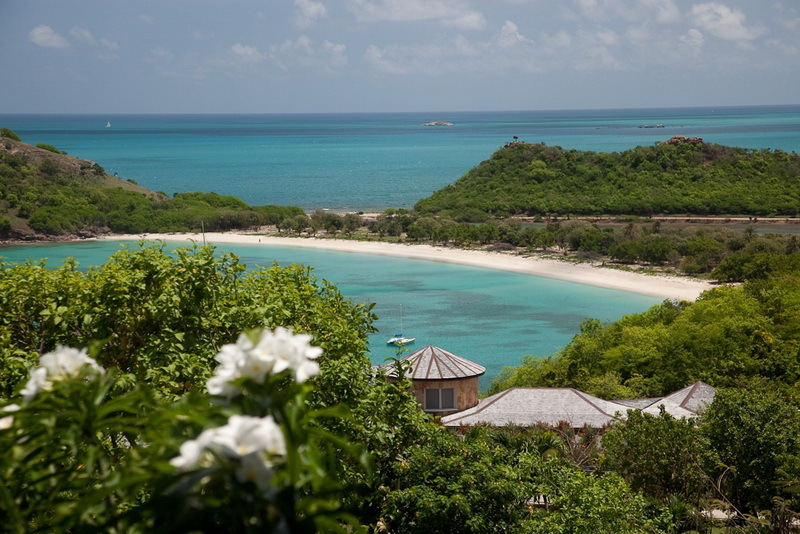 The beach of Galley Bay is located at few minutes by car from the villa, as well as the beaches of Hawksbill and Deep Bay. 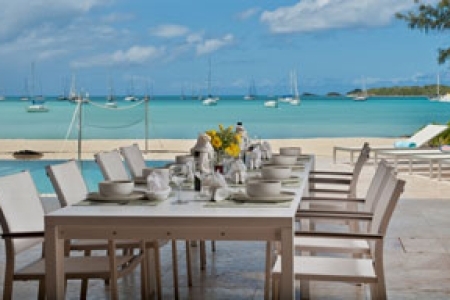 Galley Bay Heights is located on the west coast of Antigua, only 10 minutes from the capital of St. John's and 20 minutes from the V.C. 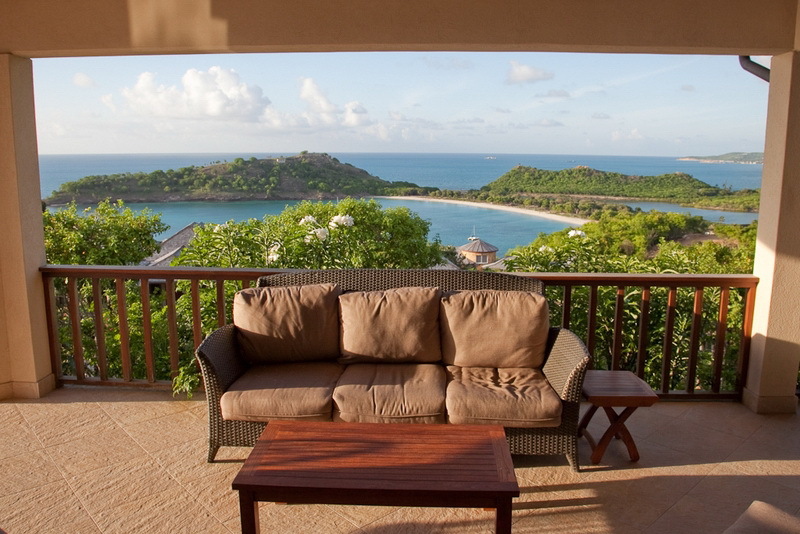 Bird International Airport. 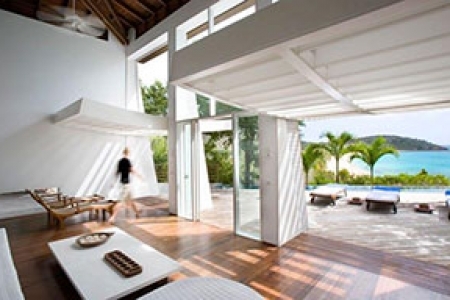 Galley Bay Heights is an area of approximately 40 acres of land most of it is already developed with luxury villas with areas measuring between 5,000 and 13,000 sqft. 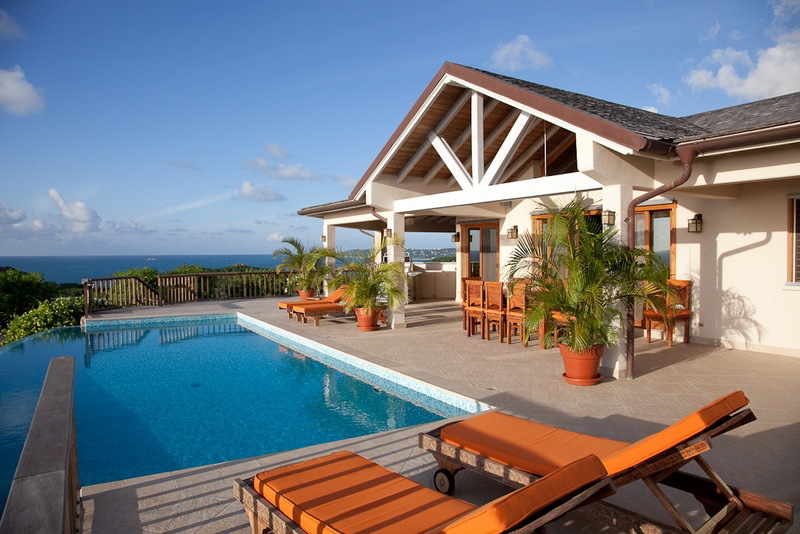 Today Galley Bay Heights boasts 26 luxury villas with plots still available to be built upon. 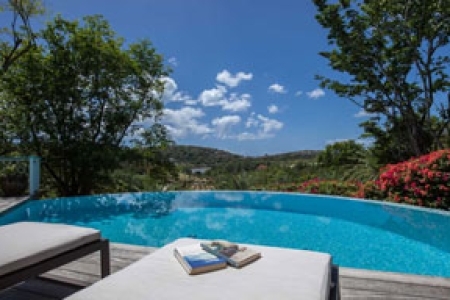 Due to its attractive location, the tranquility of the area, the splendid views of the Caribbean Sea and the bays below; Galley Bay Heights has been chosen as second home by prestigious clients and as holiday retreat by families and group of friends. 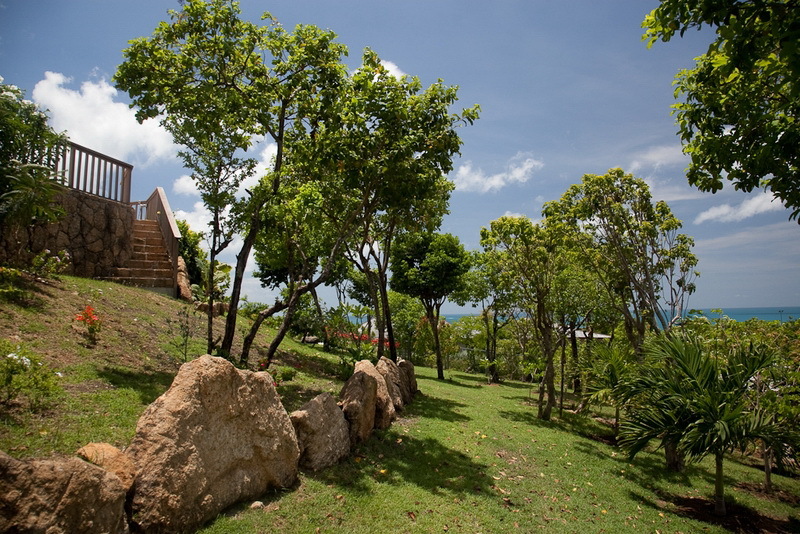 The compound offers 24/7 gate security.